Tags acute back pain, acute pain, aerobic exercise, aging, anti inflammatory, anti inflammatory drugs, anxiety, arthritis, back pain, back problems, back surgery, bone, bone conditions, bone strength, breastfeeding, cardiovascular, cardiovascular health, chronic back pain, depression, depression and anxiety, diet, emotional health, estrogen, exercise, forms of arthritis, health, healthy diet, joint health, low back pain, lung problems, mood, muscle, muscle tension, nicotine, nsaids, nutrients, obesity, osteoarthritis, osteoporosis, pain, physical activity, posture, recovery, report, sedentary lifestyle, serotonin, serotonin and norepinephrine, sleep, sleep deprivation, smoking, spinal stenosis, spine health, strength, stress, studies show. I thought you might be interested in this article on https://universityhealthnews.com: 1. 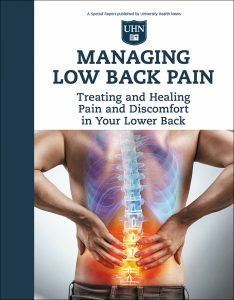 What Is Low Back Pain?